South Hevron Hills Council head and delegation visit Italy, are warmly received by senior officials in Palermo district. 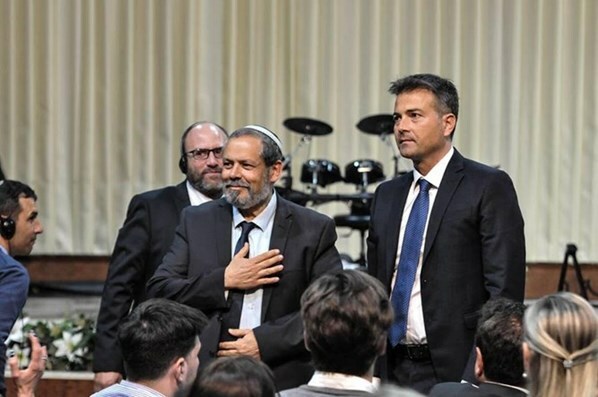 South Hevron Hills Council head Yochai Damari paid a special visit to Palermo, Italy, where he gave a speech to about 6,000 people including leaders and community heads, in two large events. Attending the events were the President of the Province of Sicily, mayors, senior officials of the Italian government, and others. Leading the visit was Vincenzo Saladino, the ambassador of Har Hevron in Italy. The goals of the visit, as Damari relates, are first of all a struggle against the BDS movement and anti-Israel pressure within the country. "We have long recognized that in Italy, the boycott movement has deep roots and a lot of support. The visit is intended to harness thousands of community leaders who will be a significant counterweight to the BDS movement." The South Hevron Hills Council head noted that another equally important goal is bringing community heads, together with members of their communities, to tourist visits in the area to get to know Mount Hevron. Damari's stay was in fact a reciprocal visit. About 10 months ago, community leaders from around the world visited Mount Hevron. The tour, initiated by the Mount Hevron Foundation and headed by Yisrael Levinson, was attended by prominent Italian community leaders. The visit left a strong impression on both sides and Damari was invited to Italy to address thousands of community leaders. Elad Movshovitz, award-winning vineyard and boutique winery owner in the Hevron Hills, and Ayala Goldstein, Director of the student village Shim'a in the Hevron Hills, also joined the visiting Israeli delegation. Their goal was to examine and establish marketing and commercial relations as well as cooperation and student exchanges. During his visit, Damari met with the Vice President of Sicily, the largest province in Italy with a population of 5 million. At the meeting, the two discussed various aspects of administration, and it was agreed that they would examine a twin-cities arrangement to promote common issues in the fields of tourism, agriculture, and more. At the end of the visit, Damari said that "the sympathy we have seen for Israel is tremendous. There is no difference between Judea and Samaria and the rest of the country, and through visits and one-on-one connections we'll be able to fight the hatred disseminated against us by certain elements in the world. We will do everything in our power to act for Israel and the Hevron Hills." 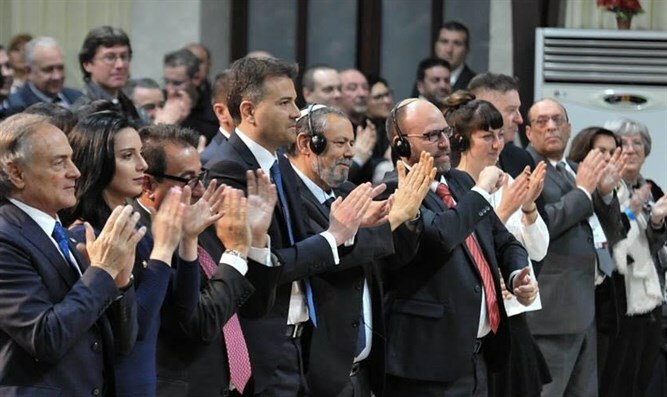 "We see the visit and embrace we received from the thousands of heads of the most important communities in Italy as a harbinger and sign of cooperation from other European countries that will follow in its footsteps. 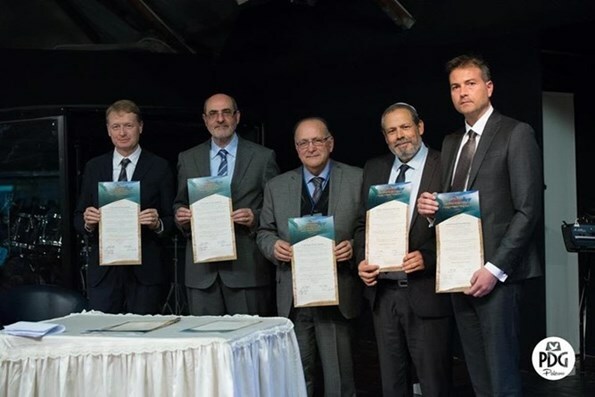 We expect economic and academic cooperation to be strengthened and thousands of tourists and visitors to arrive in Israel from all over Europe, tourists who will come to know Mount Hevron closely and support and enjoy all the good that this region has to offer."